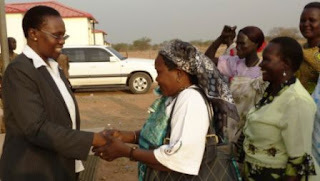 JohnAkecSouthSudan: Is Salva Kiir Ready to Work with “Independent” Governors? Is Salva Kiir Ready to Work with “Independent” Governors? It is not unusual for an independent candidate to operate as a sole backbencher in a law making body (that is, Legislative Assembly, as we call it in South Sudan). It is also not a big deal if the leadership of a ruling party with overwhelming majority, such as SPLM, chooses to ignore an independent lawmaker (MP). However, it is totally a different matter if an independent candidate concerned was voted in as a governor of a state. If that is the case (having an independent candidate becoming an elected governor), it is going to be inevitable that some common understanding be reached between the independent candidate and the ruling party as soon as possible in order to facilitate the smooth running of the affairs of the concerned state. 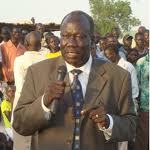 In the event of these elections bringing in a number of SPLM independent candidates on gubernatorial seats (as it is very likely to occur in a number of states), it would call for immediate negotiations between SPLM leadership and the candidate to build bridges if the citizens of those states are not to be victimized (or rather, antagonized) by the government. Following this statement, we would also be obliged to wonder whether or not the SPLM leadership is going to mete out a similar, albeit unconstitutional, treatment on potential winning candidates of other political parties, or is this is going to be confined as a special punitive measure against those who rebelled within the SPLM and chose to go it alone against the wishes of the mother party? Were Madam Anne Ito serious, or was she just playing scare-mongering tactics to discourage pollsters from voting in independent candidates, which also qualifies as electoral blackmail? I believe, by ‘support’, Anne Ito must have meant financial provision in the form of budgetary allocations for day to day running of the state bureaucracy as well as availing the resources necessary for successful execution of developmental projects that are going to be initiated by the winning SPLM independent governors in their respective states. If such a position as expressed by Anne Ito is carried out to its logical conclusion, it would create political crisis of immense magnitude. Apart from being unconstitutional, it will antagonize whole states and classify some of states as pro-SPLM and others as anti-SPLM. And will find ourselves in similar situations where Palestinian Authority (headed by Fatah) controls the West Bank, while Hamas rules Gaza. The gravity may vary, but the picture is one of the same. And no one in their right senses would like to see this kind of situation played out on top of the many thorny issues South Sudan may already have to contend with at this juncture of our political history. The situation of a party member rebelling against party’s selection outcome and going it alone is not entirely unique to South Sudan, or SPLM to be specific. I witnessed in the UK when Ken Livingstone, a long-serving Labour Party politician, refused to recognize the Electoral College selection process that favoured Frank Dobson (another erstwhile Labour Party member) and Livingstone contender for candidacy for London Mayor’s elections in 2000. Labeled as a left-winger in the Labour Party, the Labour Headquarter (the equivalent of SPLM PB) preferred Frank Dobson over Livingstone who won majority of member votes but lost what was described as “complex” Electoral College selection. Livingstone argued that the selection process by Electoral College was flawed and possibly manipulated by Labour leadership; and that he was more popular than Frank Dobson, and stood a better chance winning. Notwithstanding, Labour leadership contended that Livingstone leave the race to Dobson. Failing that, they dismissed him from the Labour Party as he adamantly insisted to run as independent candidate. Elections were conducted and the Londoners voted in Ken Livingstone, while Frank Dobson (the preferred Labour candidate) and Steve Norris (the Conservative candidate) lost. Under Livingstone’s mayor-ship, London continued to thrive as Europe’s leading financial capital, contrary to expressed fears that Livingstone (a left-winger) was going to drive business out of London. A creative leader that he is, Livingstone was responsible for many ground breaking initiatives such Congestion Charges in central London during working days, tolled motorway routes, exclusive bus lanes in London, and free bus passes for under-16s school children. In 2004, his membership was reinstated in the Labour party, and he ran the race for London Mayor as Labour candidate. That gave him a second term win. The situation we have in South Sudan, especially in regards to SPLM independent candidates, is extremely similar; and Madam Anne Ito and the leadership of SPLM party need to take a leaf from it. Vocal and strong-headed Independent candidates of caliber of Alfred Ladu Gore, Joseph Bakosoro, Deng Aturjuong and others are likely to make it through to governorship seats in their respective states. SPLM as a party has had many divisions over recent months. We have seen DC breaking away not long ago. Then we have independent candidates being disowned. Then most recently, there had been serious disagreements within SPLM political bureau (PB) on whether or not to join or to boycott all elections in the North. The disagreement which was manifested in form of a party speaking in different ‘tongues’ warns of a brewing factionalism within SPLM. So far, SPLM independent candidates have maintained that they are not leaving the party, while all of them support Salva Kiir candidacy. Therefore, SPLM should have plan B of mending fences and welcoming their independent candidates back into the Party’s fold; and to work fruitfully with them to take the South through the final leg of CPA implementation. Flexible politics is good politics.